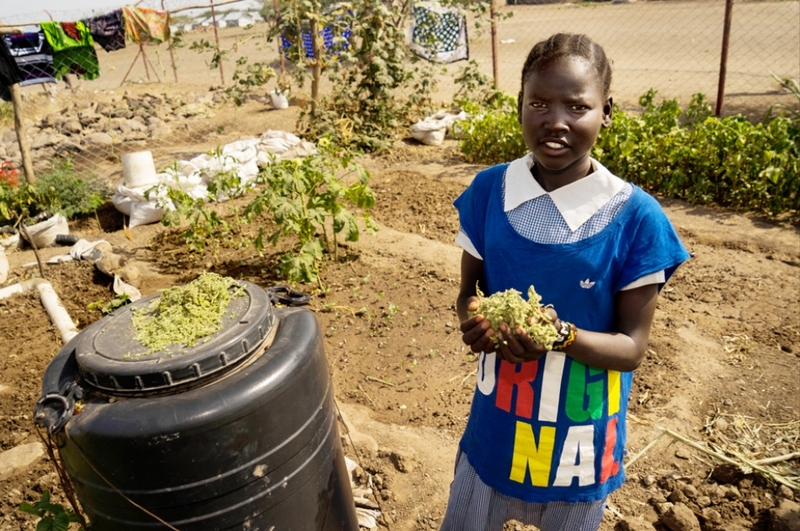 School gardening takes root in Kenyan refugee settlement. 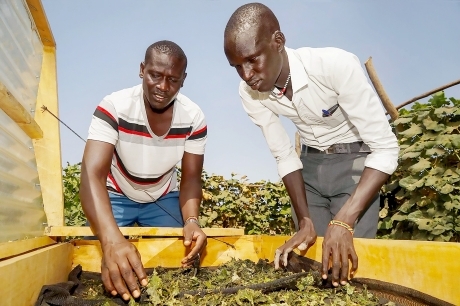 10 April 2019 (FAO)* — Dimiana Nange Clement is a young refugee and a budding farmer. The 11-year-old lives with her family in the Kalobeyei integrated settlement in northern Kenya. 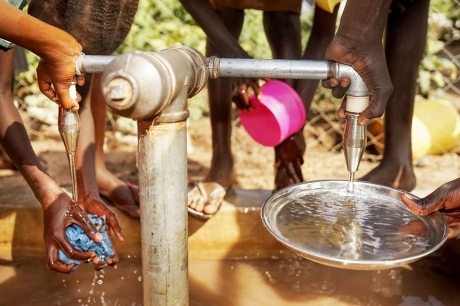 The settlement is adjacent to the Kakuma refugee camp, one of the largest such facilities in the world. Refugees in Kalobeyei receive a monthly cash transfer of USD 14 per person. That money does not go far in purchasing fresh, nutritious foods in the market, along with other expenses. The family and school gardens are helping to fill the nutrition gap and, as in the case of Dimiana, are inspiring a new generation of farmers.